I have been obsessed with true beauty practically since birth and this intense passion for aesthetics and interior design led me to found GOGO design group, in the Chicagoland area. As an interior designer, my goal is to become your Design Island of Safety where your voice is heard. The process begins with me listening to your story. I learn about your lifestyle, your likes and dislikes and what makes your heart sing. Together we discover and finesse your personal style and create your own unique road map for creating a living space that is an authentic reflection of your personality and life story. GOGO design group provides interior design services to support any size transformation that you would like to achieve. Whether it is freshen up your living space or creating a new home from scratch, I offer the interior designer expertise and tools to help bring your vision to life. In addition to serving interior design clients across the nation, I am an avid writer on topics in the interior design industry, including publishing a monthly design article series called Luxe For Less. Recently I launched a monthly video series called GOGO girl diaries that educates consumers with how-to interior design project tips. Wendy Nobriga aims to create warm and inviting spaces that clients love spending time in. She feels it's important that the spaces are good-looking yet livable. Wendy works closely with her clients to beautifully refine their home to reflect their personality and style. Wendy is a Registered Interior Designer who has over 20 years experience in the interior design industry. She graduated with a Bachelor of Arts in Interior Design from Purdue University, practiced corporate office design in Indianapolis and mostly Chicago for over 9 years, and now has the pleasure of working with residential clients. She is NCIDQ certified (#014663), an Illinois Registered Interior Designer (#161-002942), and a professional member of ASID. With her experience and enthusiasm for design, she can provide design solutions for every space. Amy is an NCIDQ licensed Interior Designer with over 20 years of experience in Hospitality and Residential design. She started her own design company, Designstorms, in 2004 and has grown completely by word of mouth. Amy offers extensive design services ranging from new construction, to kitchen and bath rehab's, specifying and purchasing furniture, detailing custom built-ins, selecting paint colors, art and everything in between. Designstorms has multiple designers on staff, all with degrees in Interior Design and a combined work experience of over 50 years. We bring a level of detail, experience, wisdom and expertise to each job, which we believe, is unique to our studio. Located in Chicago, PH+ID is an LGBTQ owned business comprised of interior and visual designers. We combine our experience and passion for clean design to deliver elevated and timeless environments that bring function and value to our commercial, hospitality and luxury residential design projects. At PH+ID, our philosophy is that great design must be based on a genuine desire to create an environment that reflects the heart and soul of the client, and to be able to transform a space to evoke a sense of consciousness from within and the impact it has on the way we think, feel and behave. Gemma Parker Design is a design firm that specializes in residential commissions, as well as custom product and furnishings. The firm approaches each project as a creative collaboration between client and design team- delivering projects that reflect the personalities and lifestyles of our diverse clientele. Gemma Parker Design is recognized for a portfolio of flawlessly executed projects- with a strong understanding of textiles, style and scale coupled with rigorous and impeccable project management. Gemma Parker-McKeon is a recipient of the prestigious “Ones to Watch” award as well as numerous ASID awards. Gemma’s work has also been featured in a number of magazines, books and blogs. Recognized for a collaborative and detailed approach, we manage all aspects of the design process, delivering projects that reflect our extensive experience in creating sophisticated and livable spaces for our clients. From large-scale projects right down to the design of our custom furniture- we know that it is the details that matter. From bathrooms to kitchens, fireplaces to furnishings, Habitar Design creates breathtaking interiors to nourish your soul and bring your home to life. Our work has been recognized and featured internationally in design magazines, but at heart, we’re a small Chicago-based firm dedicated to personally caring for our clients and guiding them through the process of design. We offer a full range of interior design and remodeling services. Our process is simple, cooperative and organized to help you achieve your vision. Our goal is 100% client satisfaction. Design can be a wonderful journey. Let us be your guide. For photos of our current designs, visit our Instagram at www.instagram.com/kristinpetrointeriors. Or follow us on Facebook at www.facebook.com/kristinpetrointeriors. For more information about our process and services, please contact us directly at info@kristinpetro.com or call our office at 630.864.8940. We're happy to help! 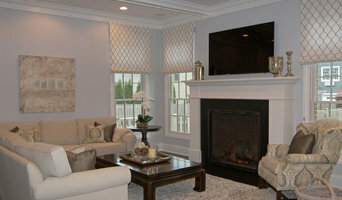 Chicago Color Designer, MI Harbor Country - 5x Best of Houzz! A designer specializing Harmonious, sophisticated and functional interiors. An expert in architectural color. Jasmin Reese Interiors is a Full Service White Glove Lincoln Park Interior Design firm. We handle every aspect of your project, from designing your interior environment to procuring, expediting and general project management. We design in a traditional sensibility that is fresh and full of color. JR Interiors is a storefront where you can design your own bespoke Pillow. Dual Concept Design (DCD) is a Chicago-based residential interior design firm, co-founded by Andrea Fripp and Paulina Cervantes. With a combined invaluable experience of over 15 years, we are well versed in creating powerful, elegantly styled spaces, that reflect their clients’ unique lifestyles. With Andrea’s edgy and bold approach, and Paulina’s eclectic style and love of color – this duo has proven that the phrase “opposites attract” is undeniable. Possessing these traits, DCD knows how to create the perfect balance – pushing the boundaries of design, yet delivering a sophisticated outcome. DCD seeks to provide a transparent and fluid design process, exceeding clients’ expectations, while bringing joy and excitement to the transformation of your house, into your home. Luxury Interior Design Expert, 3x Best of Houzz! Featured in Modern Luxury, Elle Decor, the Chicago Business Journal, Chicago Woman, the Frank Fontana Show on WGN, Estate Envy, Voyage Chicago, and Derring Hall. Over the past decade, Rae Duncan has led design and real estate development projects in Seattle and Chicago. She founded RDID to provide integrated design for commercial, residential, and graphic branding. Rae Duncan has a background in the creative arts and a Master’s degree in interior design from Harrington College of Design. She is expert in the use of the latest design software and 3D rendering programs. RDID is a full-service design firm assisting clients with a wide range of needs, such as full renovations, selection of interior finishes and fixtures, brand development, and complete project management. Our team provides residential, corporate, and hospitality design as well as creating branded environments. We absorb our client's aesthetic and expand on it exponentially. Our approach to design starts with a strong floor plan and structure that gives a space its identity combined with elements that bring a sense of humor and whimsy to a project. Our designs include subtle hints of history, textures, and color in creative combinations that convey rich layers of meaning that provide a human depth and warmth that goes beyond superficial styles. Top Rated Chicago Interior Designer | 10x Best of Houzz & 2019 Winner! Amy Kartheiser is a Chicago based Interior Designer. She has an eye for detail, layering and infusing traditional and modern. She likes to create an inviting, personal and livable environment. She believes in collaborating in a team environment where all involved on the project share the same vision of creating a beautiful space that is on time, on budget and pleasing to the client. Amy grew up with design in her blood. Her mother was an Interior Designer who allowed Amy to sit in her office as she was pulling together projects for clients. Amy would spend hours scouring through design magazines at an early age and eventually designing her own bedrooms. Despite her love of design, Amy did not formalize her design career until 2001 when she actually partnered with her mother as a mother/daughter design team. Prior to that Amy took a career in sales, which she strongly believed helped her with the proper skills in managing her clients and their projects. Amy prides herself on her communication skills, customer service, managing client budgets and meeting key project deadlines. Her design process is: listen, design and follow-through. Amy attended Purdue University (BA) and is currently obtaining a second degree at Academy of Arts University. She resides in Chicago with her husband, a Private Wealth Manager, and their two children. A good home design professional will hone your style down to its very essence and be able to choose a functional layout that feels natural to you. Interior design companies can be involved as much or as little as the client desires. Many clients who hire an interior decorator in Lincolnwood, IL — particularly those who are remodeling — have a good sense of how the room should look and what products they should use. Often clients will insist that interior decorators use the products already present in the house. Other times a designer will need to start from scratch — especially if this is a newly purchased or just-built home. An interior design company will need to figure out exactly what the client needs, which includes organizing rooms, picking flooring and wall colors, and finding furniture to complement it all. Sometimes that means he or she will have to recruit help from other Lincolnwood, IL home professionals to help create the perfect look for your renovation. Here are some related professionals and vendors to complement the work of interior designers & decorators: Architects & Building Designers, General Contractors, Home Builders, Design-Build Firms, Photographers. Do your research before meeting with an interior designer or home decorator in Lincolnwood, IL. Ask yourself what you want your space to become and what it will be used for. Figure out the extent of what you need help with, what your must-haves are and what your budget is. Interior design services can add up fast, so be up front with a potential design firm or individual from the beginning. Also, pick an interior decorator that fits your style. Browse through the portfolios of different Lincolnwood interior design firms and decide if you would live in those houses. Just because you like something doesn’t mean you could live in it. There's a big difference! Find an interior designer or home decorator in Lincolnwood, IL on Houzz. Narrow your search in the Professionals section to find Lincolnwood interior designers near you. 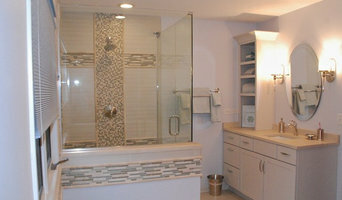 You can also look through Lincolnwood, IL photos to find a room you like, then contact the design firm who designed it.